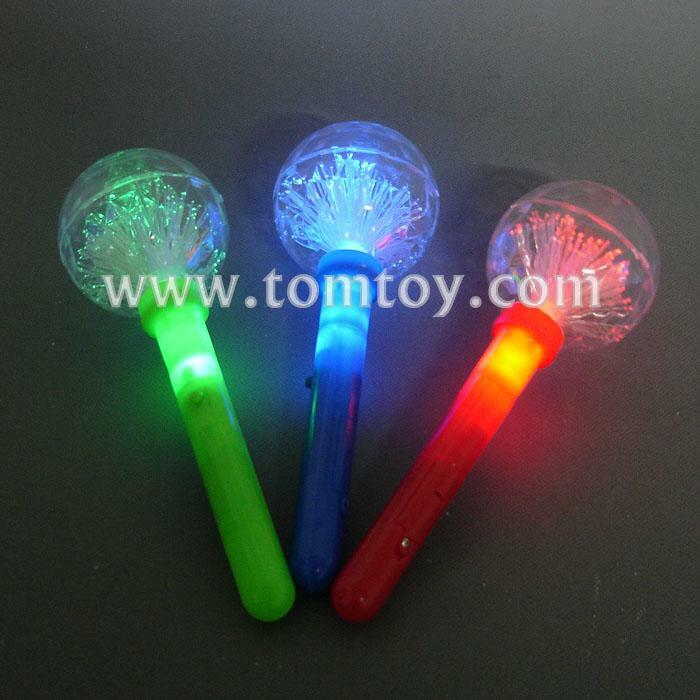 1.Our LED fiber optic globe wands are perfect for costumes, parties, and playing dress up. 2.Each wand measures 8 inches long and features bright red, blue, and green LEDs. 4.Six flash mode:RGB fast flash-RGB change flash-RGB steady-Green fast flash-Red fast flash-Blue fast flash-off. 5.Each polybag contains 1 LED fiber optic globe wands. Replaceable batteries are included and installed!